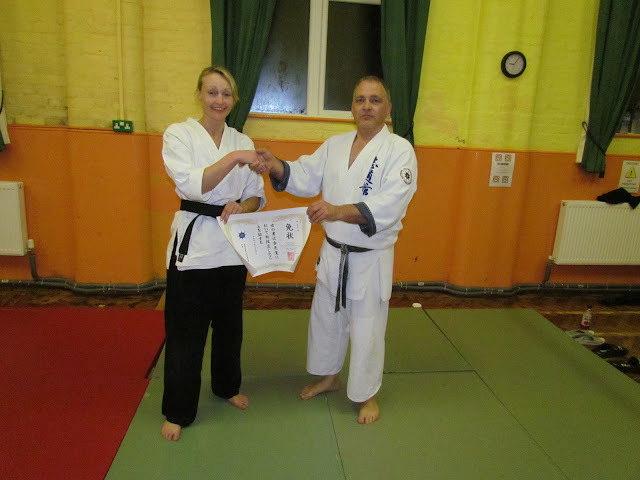 Last night, Genryukan Dojo had the pleasure of training with Shaun Hoddy Sensei (6th Dan ZETAR). 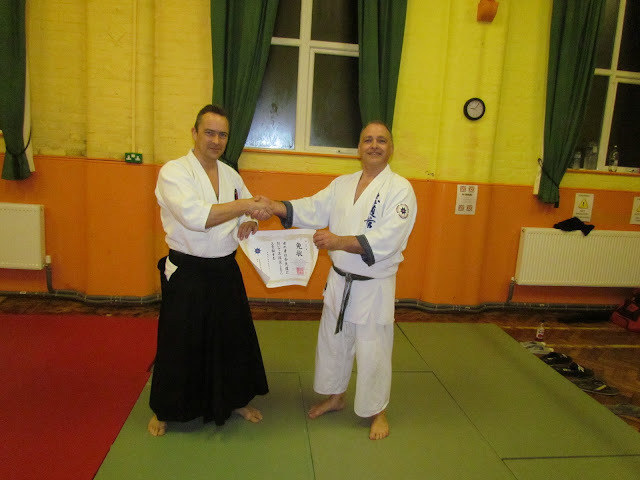 Shaun also presented Jim with Sandan, and Lis with Shodan menjo certificates. Everyone thoroughly enjoyed the session. Our many thanks go to Shaun for driving down from Essex to take the class.